Vojo Malo is the founder of the firm and he specialises in all aspects of commercial law for which he followed the post graduation course in Queen Mary Westfield College of London University. He is also experienced with corporate transactional issues, including the formation, structuring and maintaining entities of all shapes and sizes. He provides ongoing advice and counsel to the firm’s clients concerning their day-to-day legal requirements. 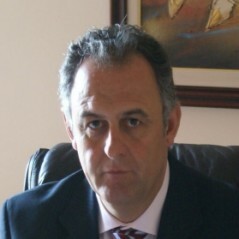 Vojo Malo was born and raised in Tirana, Albania and is a member of Albanian Bar Association, International Bar Association. From 2006 he was elected Chairman of the Sports Arbitration Council near National Olympic Comity. His hobby is diving and he is holder of an advanced diver license. He loves dogs, music and goes jogging.